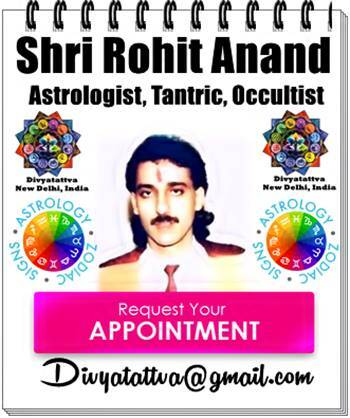 Divyatattva Medical Health Astrology Predictions, Horoscope Health Forecast Reports, Illness Recovery Consultations and guidance by India's popular celebrity Vedic astrloger Shri Rohit Anand India. According to Vedic Astrology placement of different planets in 12 houses of zodiac determines and gives indication as to how your health is going to be in this lifetime. 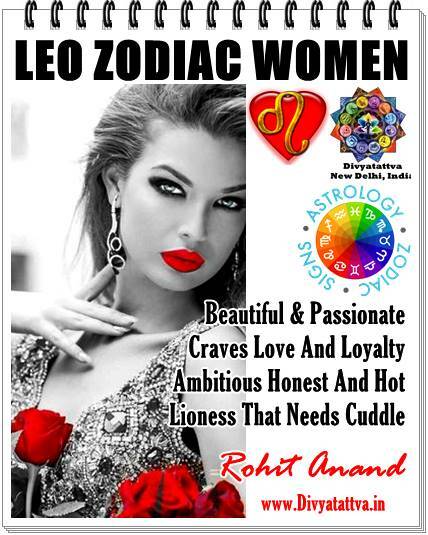 Now this message from the planets needs to be decoded carefully after deep study of horoscope charts by a competent and experienced astrologers before recommending any remedies for cure or recovery of a patient. Indian astrology can help you understand the root causes of the illness, period of sufferance, planetary alignments responsible for the disease and severity of it. 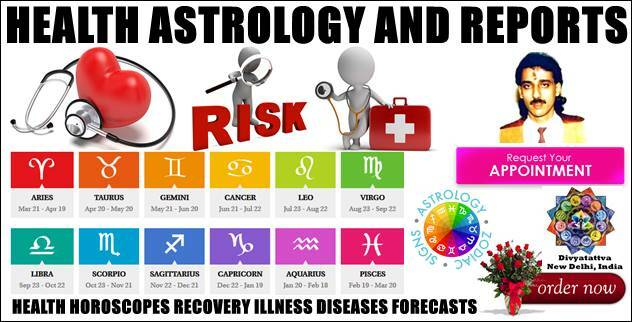 Strength and weakness of each house in studied carefully in medical astrology to arrive at places of your body where the disease has its origin and where it is mostly likely to manifest. 1. Ask A Question About Health. Manually Prepared by Shri Rohit Anand Ji upon one question that you ask directly. Free Delivery by E-Mail (with in 24 hours). Consultation Fees: INR 1100/- or USD $ 38 only (Inclusive of all taxes) . Payable by Bank Transfer, Check, Cash, Paypal. Are you worried about your health or your loved one? Well, do not be stressed now. At Divyatattva we will remove your doubts and give guidance in context of your questions asked about your health issues or that of any family member. You need to have accurate birth details i.e.x date of birth, time of birth, city and state of birth to know about future forecasts about health issues or the native. After you have submitted the required fees and sent us the birth details, we will send answer and health report of the person concerned. 1. When will my health recover? 2. How will be my health this year.? 3. Is the illness i ma having can be cured or not? 4. Will it be a good decision to go for surgery? 5. Is this good doctor for me to get the treatment? 6. Should i get myself admitted to this hospital for health treatment? 7. I have a fear that i may meet with an accident. Will it occur in my life? 8. Will it be beneficial for my health if i go abroad for health checkup or treatment? 9. Is this diet program going to benefit my health? 10. Will my health recovery be slow or fast? 11. Will my husband be cured of this present health condition? 12. Will my father make a recovery from his serious illness. 13. Will my son have a good health? 14. My wife is suffering from disease. Will she get cured? 15. I am suffering from depression and stress. When i am going to get cured ? 16. My boyfriend is into drug addiction. When Is he going to recover? 17. My husband is suffering from Alochol addiction. Is he going to get cured? "Every disease is a Karmic purgation. Tale illness as the Lord's blessing. All diseases take their origin in the mind . Treat the mind first. Physical diseases will disappear by themselves. "